13 Aug 2016 - The UK Air Accident Investigation Board AAIB have issued their final reports into two similar erroneous airspeed and altitude events to 737-800s EI-FHG and EI-DWS on 8th and 9th Jan 2016 during descent into the UK in icing conditions. The cause in both cases was a failure of the pitot probe heating element. Conclusion The erroneous airspeed and altitude indication was likely to have been caused by partial and transient ice blockage of the first officers / commander’s* pitot probe whilst in light / light to moderate** icing conditions. This was as a result of the failure of the pitot probe heating element. The partial icing conclusion is supported by the fact that the blockage alleviated itself in the descent when the IAS and ALT information returned to normal. The aircraft was on approach to London Gatwick when the crew was presented with erroneous airspeed and altitude information on one of the two cockpit display systems. The crew took appropriate ‘IAS Disagree, ALT Disagree and Airspeed Unreliable’ actions in accordance with the Quick Reference Handbook (QRH). In the final stage of the approach the airspeed and altitude returned to normal and the aircraft landed without further incident. Subsequent diagnosis found the right (first officer’s) pitot probe to have a fault with its ice and rain protection heating element. Ordinarily this would not have affected the operation of the probe but the aircraft had encountered light icing conditions during its descent. Without the protection afforded by the pitot heater, it is likely that an ice restriction developed within the tube, corrupting pitot pressure data fed into the aircraft system. About the time of the incident the commander noted they had entered light icing conditions observing the effect on the windscreen. When the ‘IAS and ALT disagree’ caution illuminated he concluded the cause to be a frozen pitot probe or static port. The aircraft responses to the various actions taken by the crew confirmed that a blockage within the first officer’s pitot probe was the probable cause. Although the airspeed and altitude information was unreliable, there was not a complete loss of information which suggests only a partial blockage of the probe which alleviated as the aircraft continued its descent. 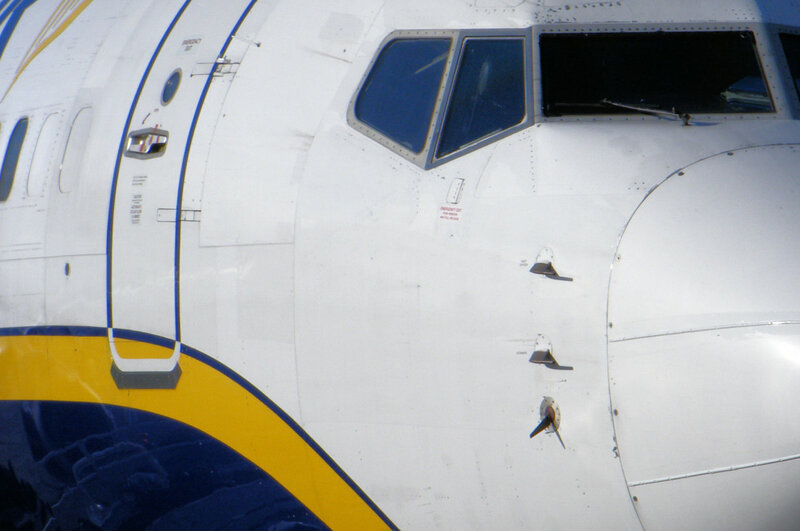 The operator carried out fault diagnosis on the pitot-static system and found the first officer’s pitot heater resistance to be out of limits. The probe, Part No 0851HT, had accrued 20,232 hours and 11,526 cycles. During this incident, as with previous similar events, there was no indication of pitot probe malfunction on the window/pitot heat panel. The aircraft manufacturer had issued Service Bulletin (SB) 737-30-1070 in April 2014 which introduced a minor modification to the pitot probe heater wiring. The modification ensures that in the event of a pitot heater malfunction, a master caution will appear in the cockpit. The Service Bulletin compliance is at the Operator’s discretion and in this case the modification is under consideration. The full report for EI-FHG is available here. The aircraft was descending towards Liverpool Airport when the crew was presented with erroneous airspeed and altitude information on one of the two cockpit display systems. The crew took appropriate ‘Airspeed and Altitude Unreliable’ actions in accordance with the Quick Reference Handbook (QRH). In the later stages of the descent the airspeed and altitude returned to normal and the aircraft landed without further incident. Subsequent diagnosis found the left (commander’s) pitot probe to have a fault with its ice and rain protection heating element. Ordinarily this would not have affected the operation of the probe but the aircraft had encountered light to moderate icing conditions during its descent. Without the protection afforded by the pitot heater, it is likely that an ice restriction developed within the tube thus corrupting pitot pressure data fed into the aircraft system. During the incident the commander noted that the symptoms appeared to indicate some form of blockage or restriction to his pitot probe thereby corrupting pitot information into the air data system. Icing was considered the plausible cause given the atmospheric conditions. Although the airspeed and altitude information was unreliable, there was not a complete loss of information which suggests only a partial blockage of the probe which alleviated as the aircraft continued its descent. Subsequent fault diagnosis carried out by the operator found that the commander’s (left side) pitot probe heater element had shorted to its casing. The item was replaced and the aircraft returned to service. The probe, Part No 0851HT, had accrued 17,864 hours and 10,385 cycles. During this incident, as with previous similar events, there was no indication of pitot probe malfunction on the window/pitot heat panel. 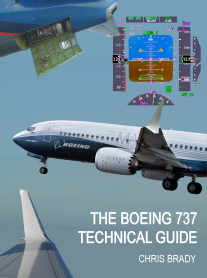 The aircraft manufacturer had issued Service Bulletin (SB) 737-30-1070 in April 2014 which introduced a minor modification to the pitot probe heater wiring. The modification ensures that in the event of a pitot heater malfunction, a master caution will appear in the cockpit. The SB compliance is at the Operator’s discretion and in this case the Operator had scheduled it for this aircraft’s next deep maintenance package. The full report for EI-DWS is available here.